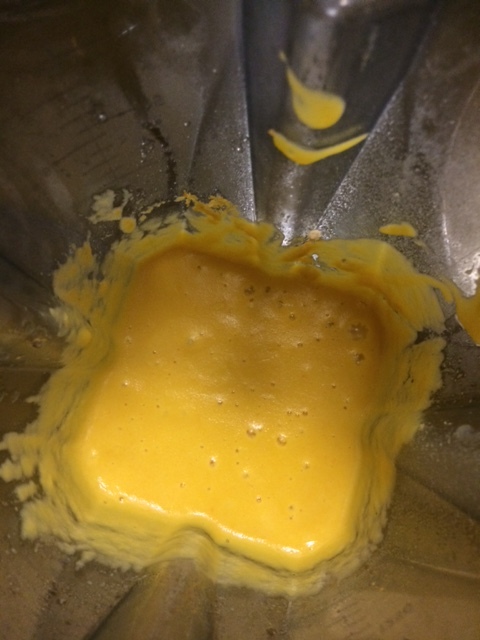 I tested this delicious cheese recipe for you! It is sooooo good, I highly recommend it! Its food, made from food! Wonderful concept! 😉 I don’t think I could eat this everyday but every now and again it would be a wonderful treat! 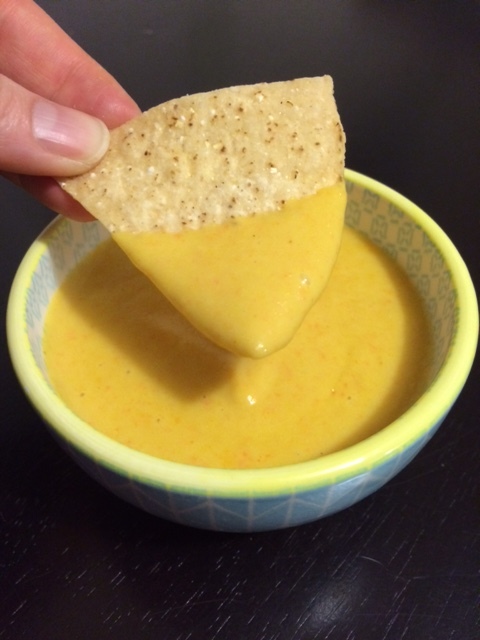 It would also be a good dip to serve at parties and for guests. 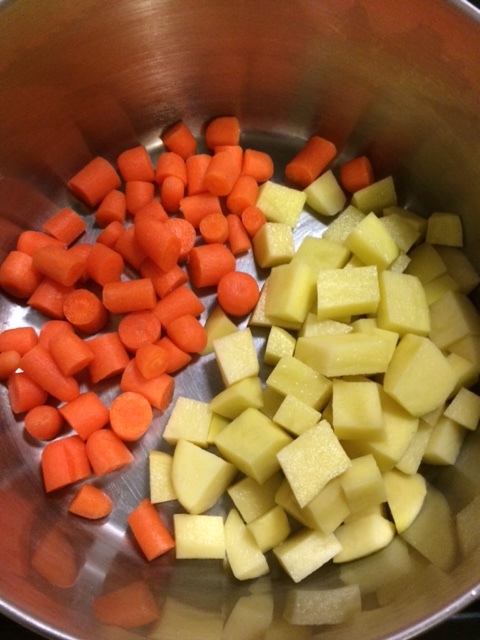 Boil the potatoes and carrots in water until soft about 20 minutes, drain. Blend potatoes and carrots together along with the rest of the ingredients on high in blender until the cheese is extremely smooth. I use my high-powered VitaMix blender a regular blender would work ok but may not give as creamy of a texture. The best part about this recipe is that it uses simple ingredients….. real food….. potatoes and carrots, both of these veggies can be a great sauce base. The other great part is that this recipe is very easy, no complex steps. Blended along with other ingredients in my high-speed blender. Here you have it!! 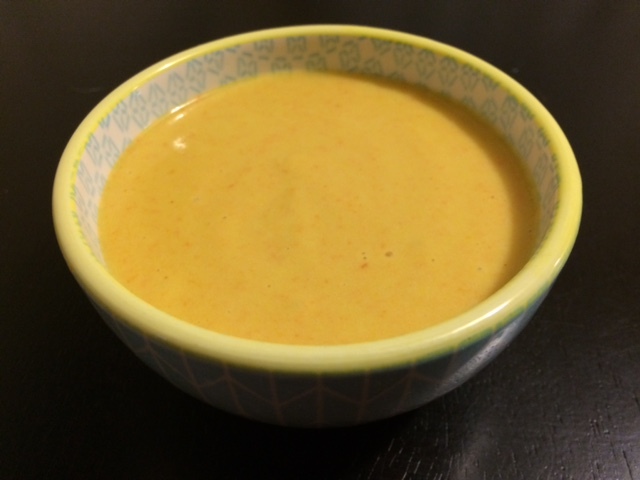 Delicious Nacho Cheese!!! Great for dipping. 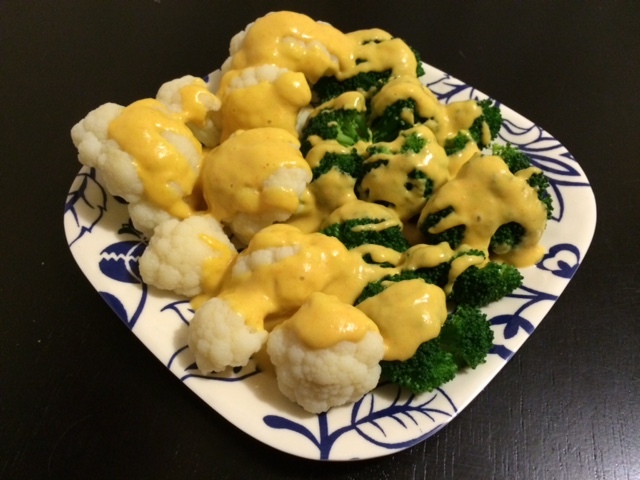 I also poured it over some steamed veggies, it would also be great over a baked potato. 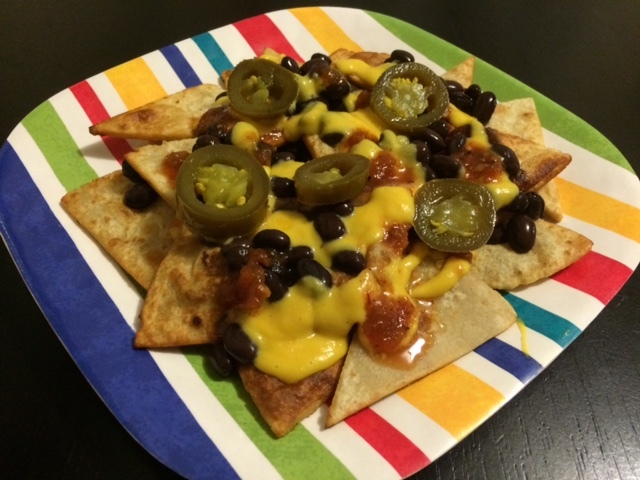 I also made these delicious nachos! They got a bit soggy in the middle but were so good! So great I could enjoy nachos, minus the cruelty! Also much more healthy than diary and other animal products. 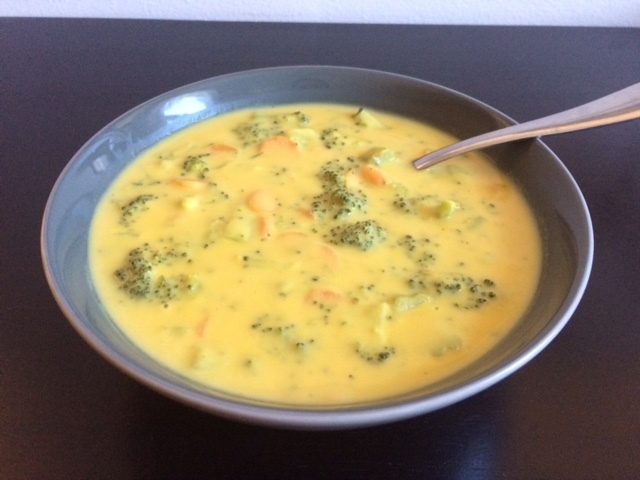 This entry was tagged broccoli cheese soup, carrots, Cruelty Free, delicious cheese recipe, Plant based, plant based recipes, potatoes, recipes, vegan, vegan cheese, vegan recipes. Bookmark the permalink. Wow, looks great! Will definitely give this a try. Thanks for sharing! Yum! I will def make this soon!